Nursing lore has long maintained that the mysterious illness that sent Florence Nightingale to bed for 30 years after her return from the Crimea was syphilis. At least that’s what many nursing students were told in the 1960s, when my wife was working on her BSN. Syphilis, however, would be difficult to reconcile with the fact that Nightingale was likely celibate her entire life and had not a single sign or symptom typical of that venereal infection. Even so, Nightingale’s was a decidedly strange illness, one that has stubbornly defied diagnosis since her death on this day 95 years ago. In all likelihood, its seed was sown in 1854, when in her mid-30s, she traveled to Skutari (Uskudar), Turkey to care for British soldiers fighting the Russians in what came to be known as the Crimean War. With a mere 38 nurses, she supervised the care of an all but endless stream of troops wracked by frostbite, gangrene, dysentery, and other diseases crammed into 4 miles of beds not 18 inches apart. Her own quarters were cramped and infested with rodents and vermin. During January and February of her first winter, she saw 3,000 of her patients die, while working 20 hours a day, caring for the severest cases herself. In May of the following year, she developed a near-fatal illness (most likely brucellosis). Although urged to return to England to recuperate, she remained with the Army for 21 months until the last soldier had left for home. Image Credit: “Florence Nightingale.” Public Domain via Wikimedia Commons. Since Nightingale’s death, biographers, historians, nurses, and physicians have debated the cause of her strange illness, with some convinced that it had an organic basis and others convinced that her symptoms were the product of a neurosis. It has been suggested that she suffered from “dilation of the heart and neurasthenia;” a “strategic illness” with no physical basis; self-pity manifested as “Victorian melodrama;” and “repressed self-loathing” for her arrogance and ignorance in failing to recognize that the unsanitary condition of her wards was the reason why her army perished. In all likelihood, Nightingale had not one, but four different disorders, all at least loosely inter-related—bipolar personality disorder, Crimean fever (brucellosis), post-traumatic stress disorder (PTSD), and terminal, senile dementia (Alzheimer’s disease). With regard to PTSD, there is no record of Nightingale ever having spoken or written of flashbacks or recurrent dreams of her Crimean experience. However she had no one with similar experiences or problems in whom she might have confided such thoughts or dreams. She never spoke of her wartime experiences after returning to England. Nor did she ever again personally minister to the sick or wounded, perhaps to avoid situations or activities likely to arouse traumatic Crimean memories. Like many of today’s PTSD sufferers, she isolated herself from social interactions, in her case by punishing herself for almost 30 years with what amounted to virtual self-imposed imprisonment. Like all wars before and since, Nightingale’s was a hell steeped in the blackness of death, leaving no delight clean and pure, and torturing the minds of those involved long after the fighting ended. Image Credit: “London – Crimean War Memorial” by Magnus Halsnes. CC BY NC 2.0 via Flickr. Philip A. Mackowiak is Emeritus Professor of Medicine and Carolyn Frenkil and Selvin Passen History of Medicine Scholar-in-Residence at the University of Maryland School of Medicine in Baltimore, Maryland. 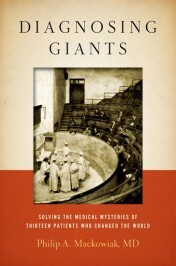 He is also the author of Diagnosing Giants: Solving the Medical Mysteries of Thirteen Patients Who Changed the World. 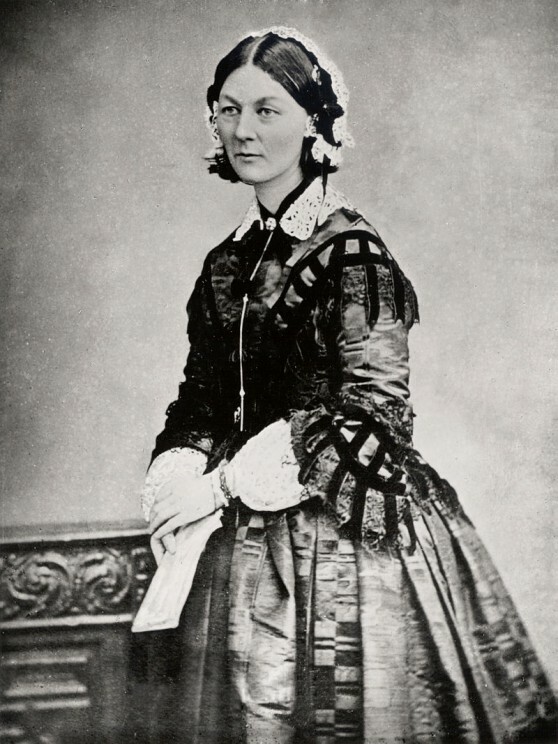 Being celibate all her life would not save Florence Nightingale from being exposed to syphilis, since nurses at that time often contracted the disease through small cuts exposed to fresh, open lesions. (Doctors who conducted gyn exams without gloves were often infected with what was known as “the physicians chancre” on a finger.) The symptoms she exhibited were consistent with syphilis.The various diagnoses suggested are also consistent with the disease that is known as “The Great Imitator.” Did Florence have syphilis? If it cannot be proven, neither can it be easily dismissed. Pox: Genius, Madness, and the Mysteries of Syphilis (Basic Books 2004). Sure due to living a full full lifed ive worn my body and have yet to completly wear it out. I have seldomly sold my body for money wholey against my entirity for as little as six pound for 10 cigarretts and a pint of milk my due to things that happened has been veey hard. I hasve very yellow wee but it isn’t a veneral desease I dont know what it is it could just be exhaustian. I also keep my self in one room spending most hours lying down. And I am and allways was the friendlist soul your ever likley to meet. One in a billion shot you’d ever find another like me and if you did it most would be one of the men I loved as ive also been in love completley for at least 20 years. I heard florence nightingale died after being stangled by one of the men she was in love with or maybe thats my fate. Sounds like the brucellosis never went away. It also sounds like Chronic late stage disseminated Lyme disease which is another spirochete disease which can cause Lyme dementia. I am not at all particular or interested of whatever caused Florence Nightingale’s death.The fact remains that Nursing is today because of her.Many advancements have been made in the Nursing Discipline ever since.This has been made possible through others learning from previous mistakes made in this field.Florence had no literature review to refer from when it came to delivering Nursing,and this makes us all completely unworthy of judging her.None of us today can claim to have the least of rights to insinuate that she died of syphilis.Many of us today die of HIV/Aids and or its opportunistic infections BUT that does not in any way prove(with absolute certainty) how we got it.I deeply respect this lady.RIP Florence Nightingale.Your quote in 1890 came to pass,and your name will always perpetuate the great works of your life. It has been said she suffered from Fibromyalgia (and possibly ME/CFS) as well as PTSD. She might also have contracted Lyme Disease, what we now call Post War Syndrome and a multitude of other infections from the lack of hygiene during the war years. I read her biography and she certainly had many symptoms like my own Fibromyalgia, Chronic Fatigue Syndrome, IBS etc. All I can say is that Nursing & Medicine today is blessed to have had her experience and tenacity from that time. Throughout history there have been many stories of different health conditions that are similar to today’s (conditions), just called by different names and treated by alternative therapies and herbs as much as surgery.